East Lake Estates - East Lake Estates | New Homes in Auburn, AL | Neighborhood Living. Just as it should be. East Lake Estates is not just about a house - it's about home. It's a place to celebrate family, to watch children grow and live life. It's about community and neighborhood. It's East Lake Estates. Neighborhood Living. Just as it should be. The East Lake Estates model home was awarded the Grand Prize in the 2014 Tour of Homes and also won Best Bathroom Design, Best Kitchen Design and Best Overall Interior Design in the 2016 Tour of Homes. This exceptional new home in East Lake Estates offers 3,700 square feet of gracious living in one of the most desirable areas in the country! This awesome new home from Michael Allen Homes features an innovative floor plan in a cul de sac setting. Two bedrooms are on the main level. Second bedroom downstairs with a private bath. The three car garage offers ample space for large vehicles, storage and shop items. The master closet is huge and customized to the buyer's needs. The kitchen with island also features a butler's pantry. The spacious laundry room makes even THIS regular task a pleasure! Super covered back porch is ready to be customized with your large screen TV, grill and other accouterments. Just image the awesome football watching parties! Three full bedrooms and two baths are located upstairs upstairs with a second living room/kid's retreat. This new home also has spray foam insulation for utility savings year round. As with other new homes in East Lake Estates, you'll enjoy an initiation fee waiver for your social membership at the award-winning Moore's Mill Club. Moore's Mill Club features challenging golf and practice facilities, two pools with cabana, gym with a plethora of machines and equipment plus steam room and world class dining in the clubhouse. These new homes are being snapped up quickly so contact a member of the East Lake Team today for additional information and a personal tour of this home. 3,872 square feet. Offered at $627,380. 1710 Glendale Circle has been sold. There are several new homes under construction that ARE available for sale. Or, choose one of the remaining estate-sized lots and let Michael Allen Homes create your dream home from the ground up. 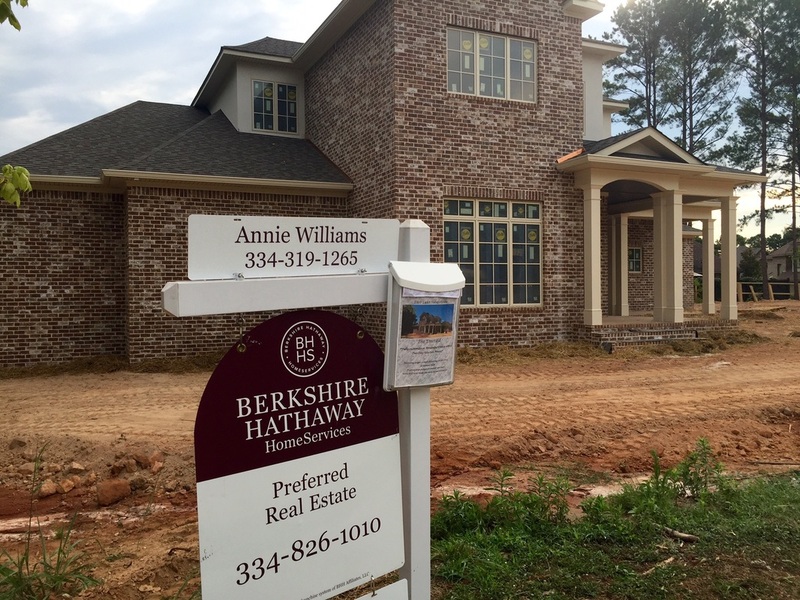 Contact Berkshire Hathaway HomeServices for a personal tour of this award-winning neighborhood in Auburn, Alabama. ﻿This new home is built on the beautiful AND highly functional Montclaire floor plan by Michael Allen Homes! The master suite on main level features plenty of space and a huge walk-in closet. The open concept kitchen with breakfast room and formal dining area makes for a great family gathering area and is perfect for entertaining. Huge family room with cozy fireplace. Laundry and mudroom off the three car garage. A social membership waiver to Moore's Mill Club is included as well as East Lake pool and clubhouse membership. 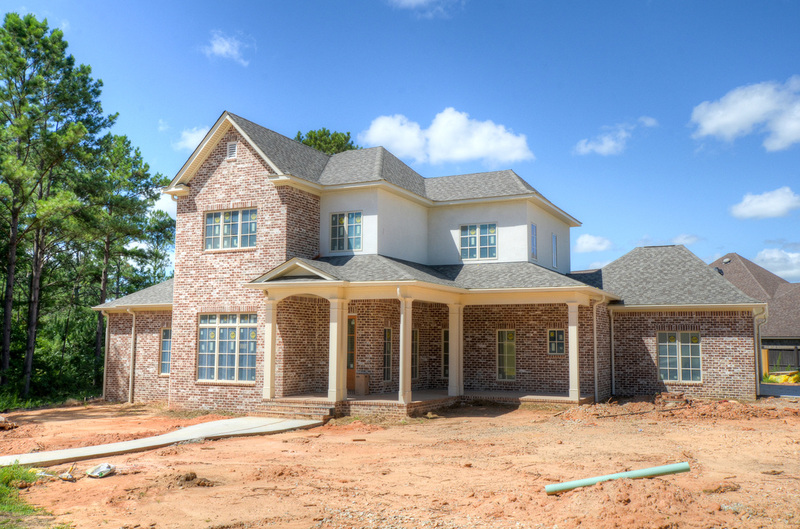 Introducing the Providence-Autour featuring an inviting front porch! 4 bedrooms, 3.5 bathrooms plus a study and a media room. Open concept kitchen with an island, breakfast area, stainless steel appliances, granite counter tops, and custom cabinetry. Beautiful built-ins in the Great Room with vaulted ceilings. Three car garage with close access to mud and laundry room. Spacious rear covered porch perfect for entertaining. Master bedroom suite features tray ceilings and a cozy sitting area that has access to the rear porch! Master bathroom boasts his and her closets, double vanities, jetted tub and a separate walk-in shower. Bedroom 2 has a private bath. Bedrooms 3 and 4 share a jack-n-jill bath. Offered at $599,900 - one of the few properties available in this highly desirable community south of I-85. 1720 Glendale Circle has been sold. There are several new homes under construction that ARE available for sale. Or, choose one of the remaining estate-sized lots and let Michael Allen Homes create your dream home from the ground up. 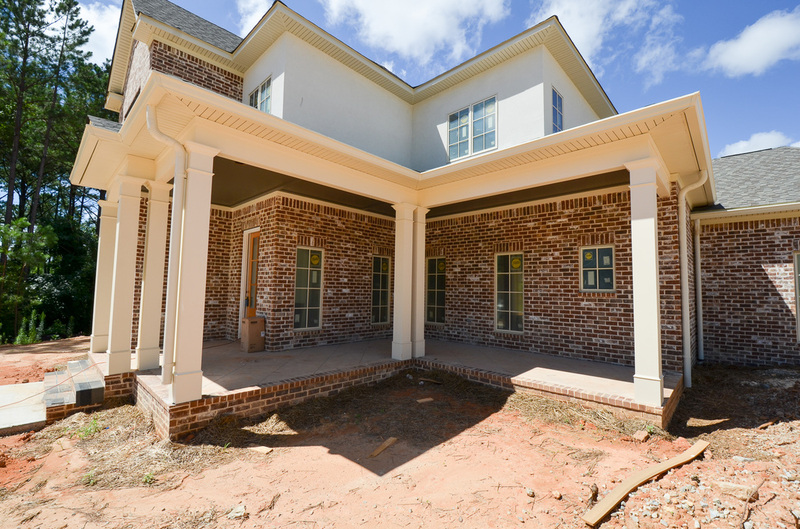 Introducing the Providence-Autour featuring an inviting front porch! Four bedrooms, three and a half bathrooms, plus a study and a media room! Open concept kitchen with an island, breakfast area, stainless steel appliances, granite countertops, and custom cabinetry. Beautiful built-ins in Great Room with vaulted ceilings. Three car garage with close access to mud and laundry room. The master suite has a perfect sitting area and amazing master bath. You HAVE to see it! 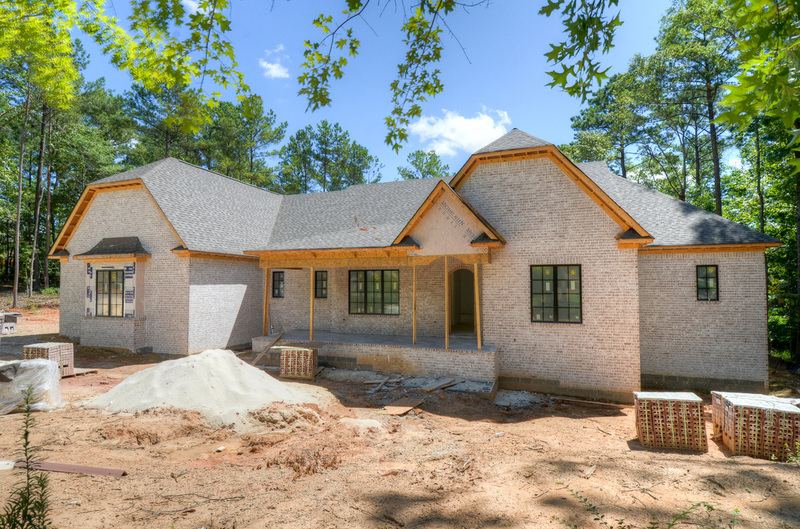 This home is ready for full customization or streamline your choices with only a two day selection process! Includes initiation waiver for your social membership at Moore's Mill Club. Stop by our elegantly staged new model home at 1690 Glendale Circle. 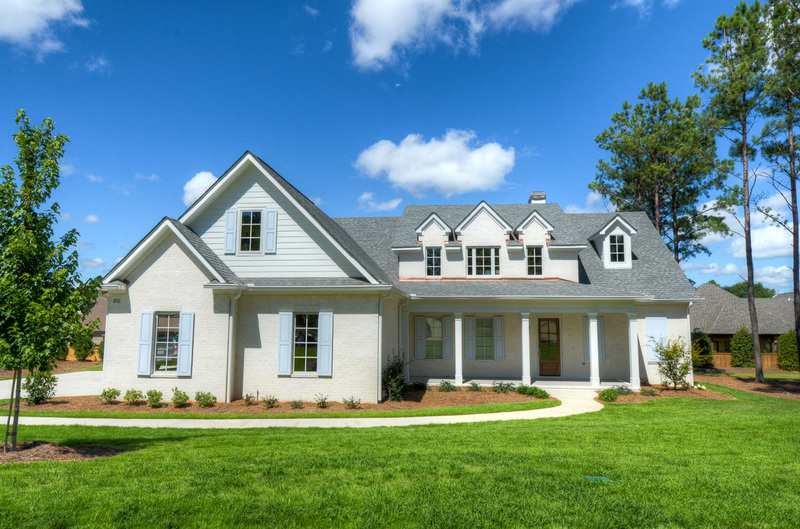 This custom home is built on the The Barclay plan with an inviting front porch! Five bedrooms plus an optional bonus room, plus 3 1/2 bathrooms. Approximately 4,100 total heated sq.ft. featuring beautiful hardwood flooring in the foyer, formal dining room and great room. Open kitchen & breakfast areas with an island, stainless steel appliances, granite counter tops and custom cabinetry. It also includes a cozy rear covered porch with access from the master and a HUGE back yard. The East Lake Estates Model Home at 1686 Livvy Lane has been sold. There are several new homes under construction that ARE available for sale. Or, choose one of the remaining estate-sized lots and let Michael Allen Homes create your dream home from th ground up. See a full photo gallery of this exquisite new home here. East Lake Estates is Just What You've Been Dreaming of ... Neighborhood. If you and you're family are considering a move across the country or a move across town we'd like to invite you to East Lake Estates. 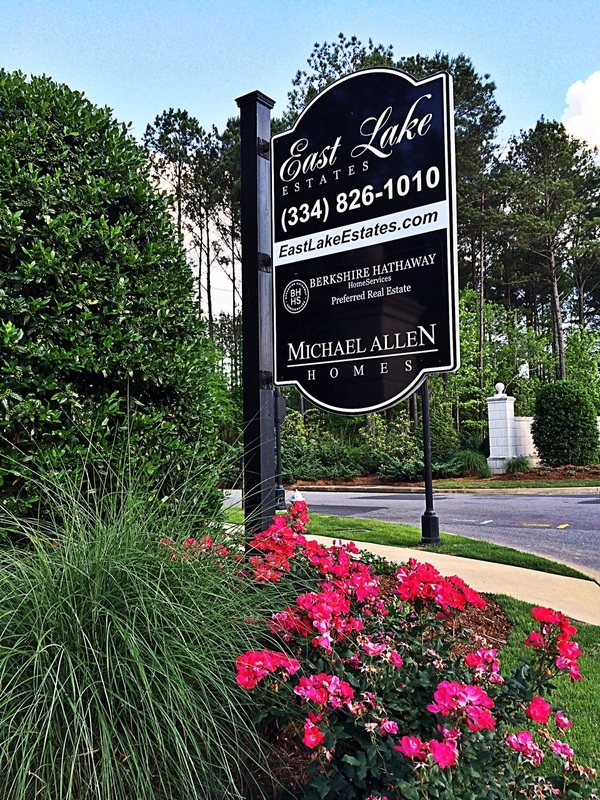 East Lake Estates is the most recent collaboration of Berkshire Hathaway HomeServices (formerly Prudential Preferred Real Estate) and Michael Allen Homes in Auburn, Alabama. This new community features estate sized lots and first class amenities in the heart of one of the most desirable places to live in the country. 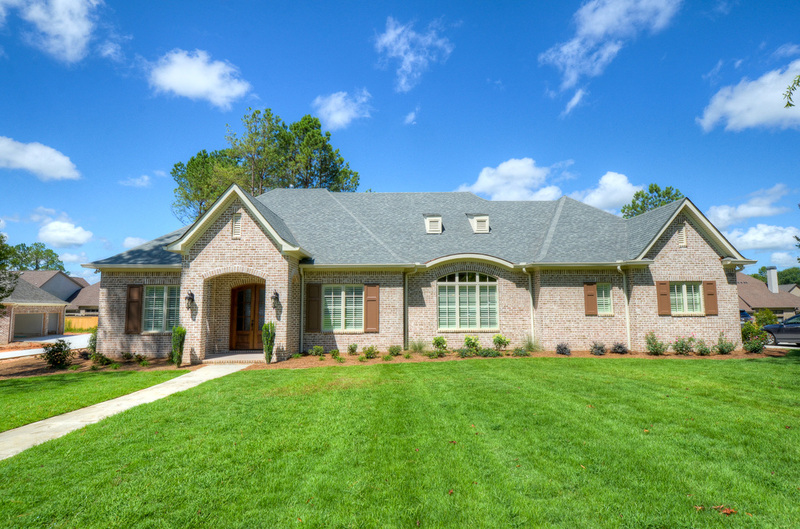 East Lake Estates is conveniently located near award-winning schools, great shopping and Auburn University. You'll also find easy access to I-85 and Highway 280. But the most important thing you'll find at East Lake Estates is community. Here you'll discover the lost art of getting to know your neighbors. You'll experience the essence of "front porch revival." Not just the style of a house or a floor plan, but a lifestyle of family. A place where a front yard football game is an everyday occurrence. Where people watch out for each other. Neighborhood Living. Just as it should be. We invite you to contact us and find out more about East Lake Estates. Use the contact form or call Berkshire Hathaway HomeServices Preferred Real Estate at (334) 826-1010.